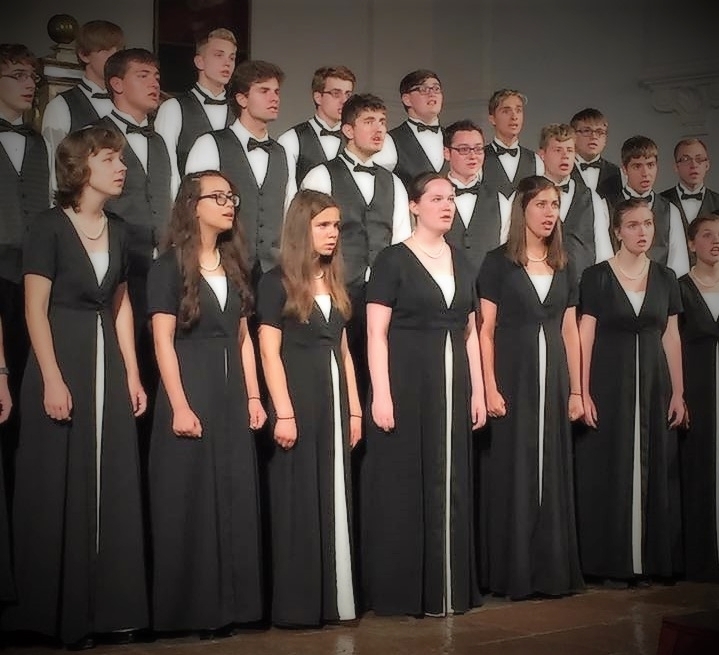 Under the direction of Dr. Rick Kvam, Concert Choir singers are young men and women in grades 10-12. Under the direction of Mr. Aaron Schumacher, Chorale singers are boys and girls in grades 7-9. Under the direction of Mr. Bill Nelson, Treble Choir singers are in grades 5-6. Under the direction of Mrs. Amy Nelson, Children’s Chorus singers are in grades 3-4. Under the direction of Mrs. Korrie Johnson, Half Notes singers are in grades 1-2. Sign up to audition for Honors Choirs!